While out walking the streets of Harajuku, we came across Emily, the owner of Wanting Collection, a fun and quirky online shop and brick-and-mortar store in Sydney, Australia. 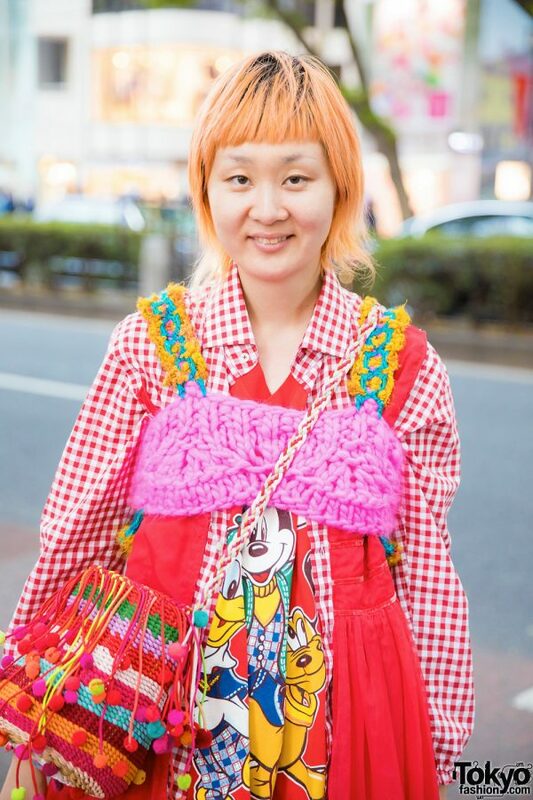 Sporting a peachy fringed bob, Emily is dressed in a red Mickey Mouse Gang chiffon tiered dress from Tokone, which she donned over a red gingham print long sleeve shirt from Chihiro Hasunuma An/Eddy. 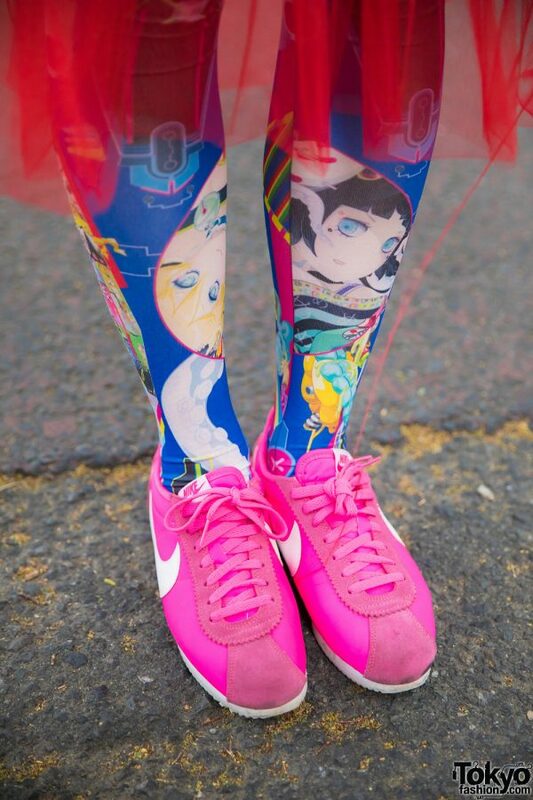 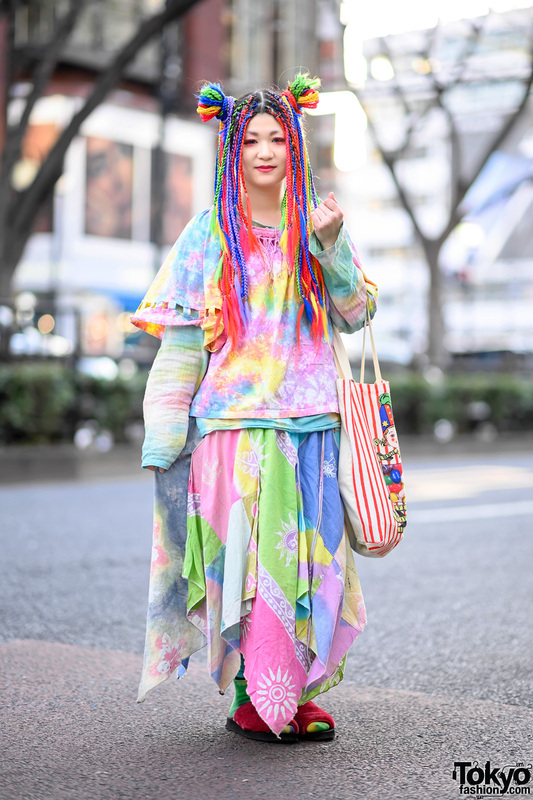 She topped her layers with a remake pink crochet top with blue and yellow shoulder straps, slipped into blue manga print tights by Japanese artist Takahashi Hiroyuki-Mitsume, and pink Nike sneakers. 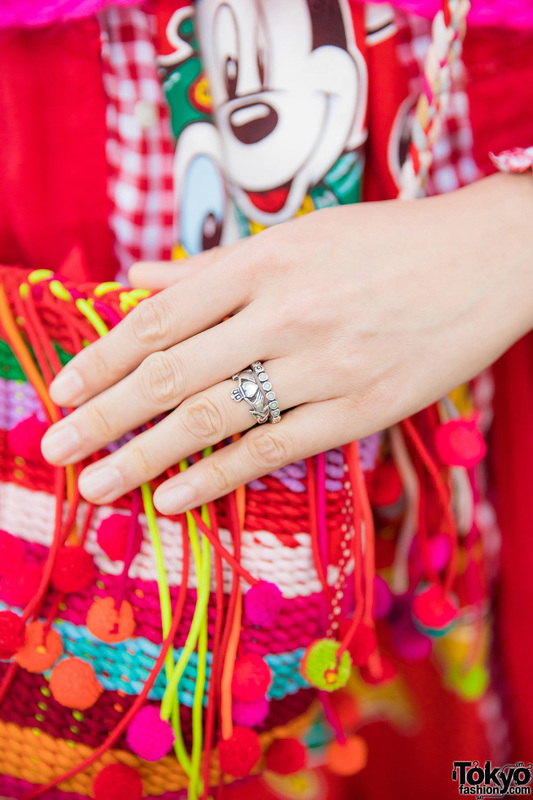 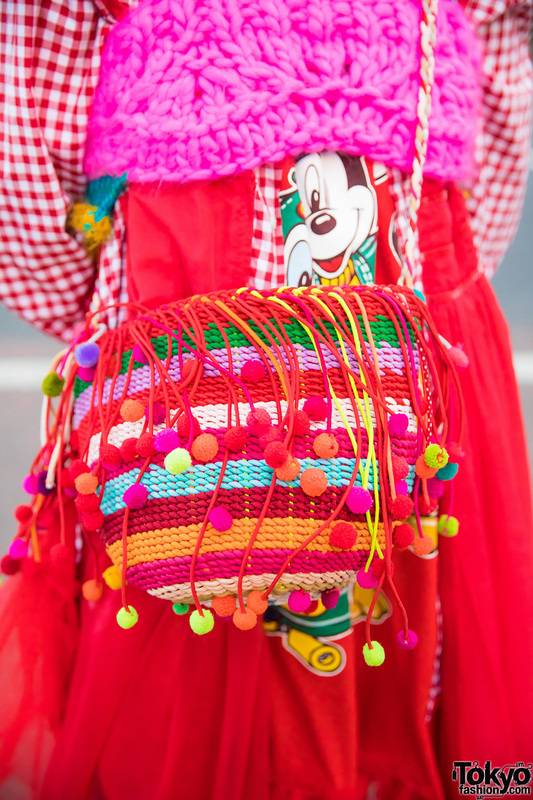 Emily completed her interesting style with silver rings and a striped wicker tote bag with colorful pom pom tassels that she bought in Thailand. For more on Emily, follow her on Instagram and her official website.